This webinar takes a closer look at how easy it is to stay on top of energy legislation and utility regulatory proceedings from across the country with PowerSuite’s intuitive interface. 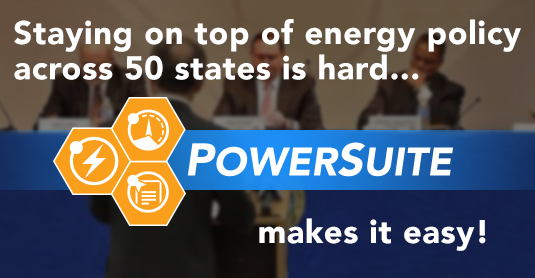 Also, hear how PowerSuite has revolutionized the way that companies stay on top of energy policy. PowerSuite is a robust set of tools—including BillBoard, DocketDash, and PowerPortal—that allows you to search, track, and collaborate on energy legislation and regulatory proceedings from across the country with one, easy-to-use interface.